If you haven't downloaded our new app, now would be a good time to do it. 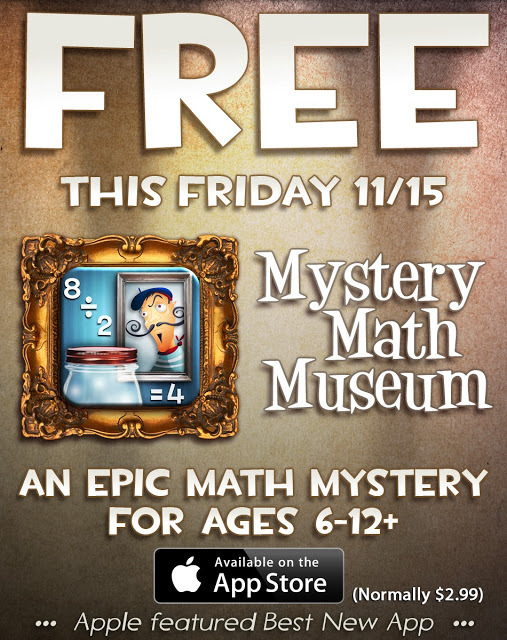 Mystery Math Museum will be free for on e day only - Friday, November 15. Or you can go to a real museum but I seriously doubt they will let you keep any of the exhibit paintings for your gallery.